In line with TVCXpress Manila’s vision of serving and enabling the Philippine advertising industry, TVCXpress Manila hosts the second 4As ARAL. Headlining this module is ABS-CBN journalist, Atom Araullo. This module will be conducted by TVCXpress Manila’s Alfonso ‘Pon’ de Dios, who will be sharing with the next generation of advertising practitioners his knowledge on how agencies can leverage the fundamentals of brand building and marketing communications in this rapdily evolving data and digital age. 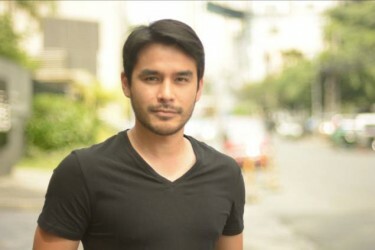 Joining him is multi-awarded ABS-CBN journalist Atom Araullo, who will share his experiences on how he, as a ‘brand’ effectively communicates his messages to his consumers. The session will be on October 28, 2014 at the Security Case Room of the AIM Conference Center, Ground Floor, AIM Acceed Bldg., Benavidez St. Legaspi Village Makati. The session runs from 1pm to 5pm. Participation Fee is P1,000.00. The deadline for registration and payment is October 24, 2014. About TVCXpress Manila. TVCXpress Manila is a technology-enabled, data-empowered and solution-focused media content transmission, archiving, collaboration and analytics provider, in the service of the Philippine advertising industry.